Is this suitable for your operation? 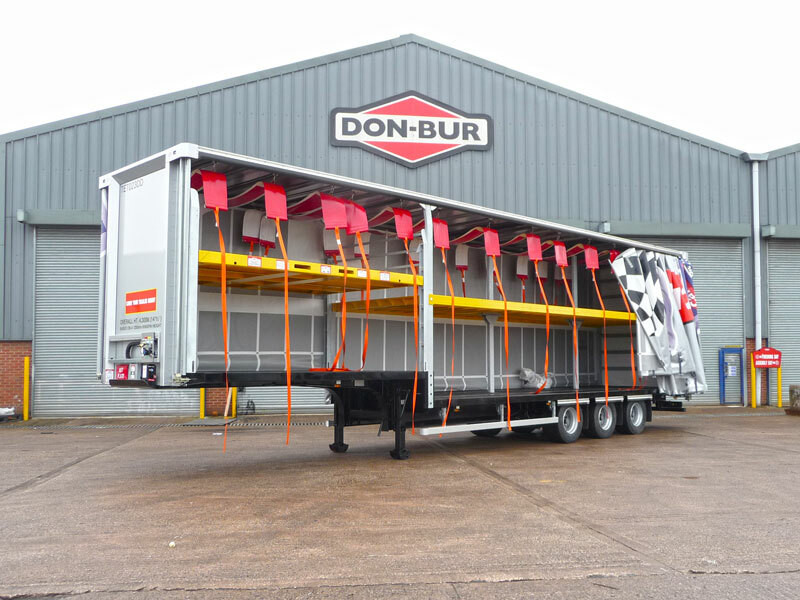 The inexpensive variable height Double-Deck system, designed and manufactured exclusively by Don-Bur. (Registered Design 2001). 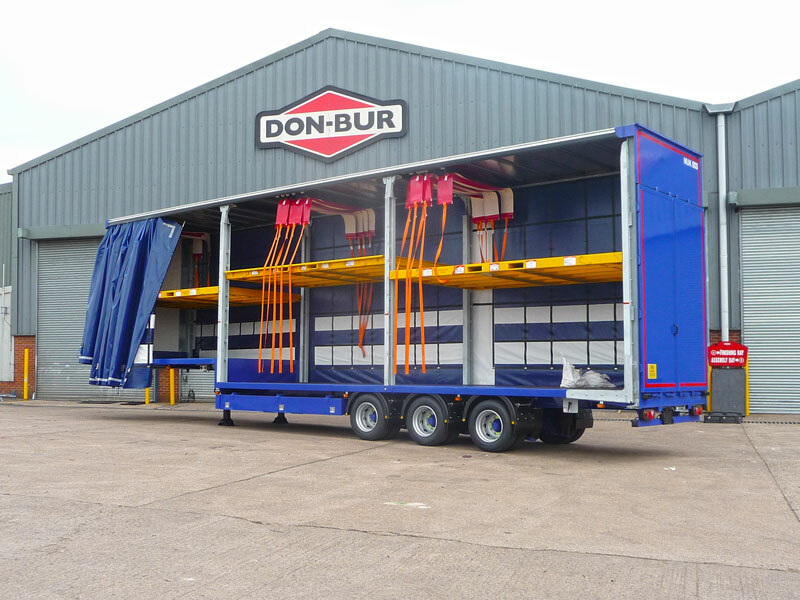 Don-Bur has developed a forklift operated, multi-positional, mechanical lifting deck system for curtain sided trailers. 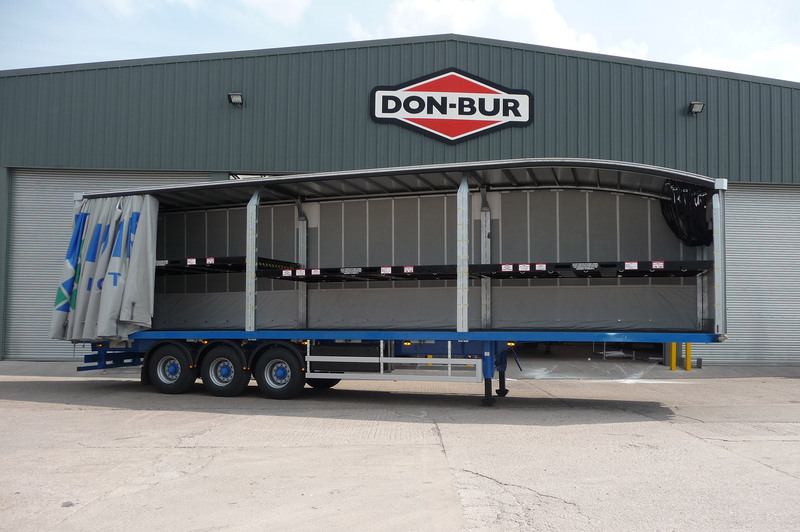 This low cost adjustable deck solution provides optimal space utilisation for the operator carrying a variety of different weight loads within the 44 Tonne legislation which cannot ordinarily be double stacked. 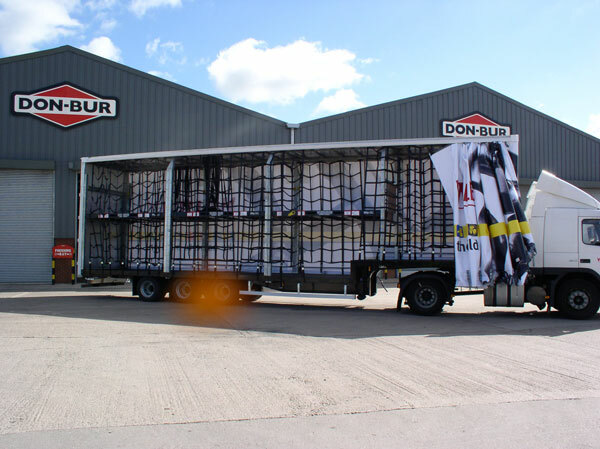 Whatever your needs, Don-Bur can engineer a solution to meet your operational and budgetary needs. 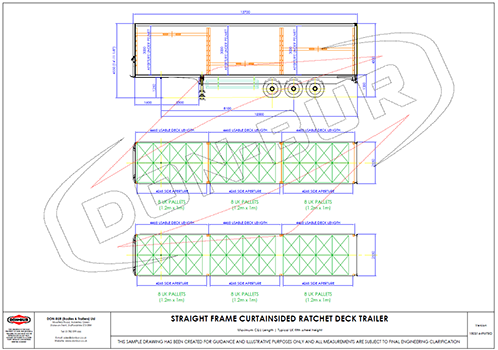 How Does A Ratchet Deck Work? 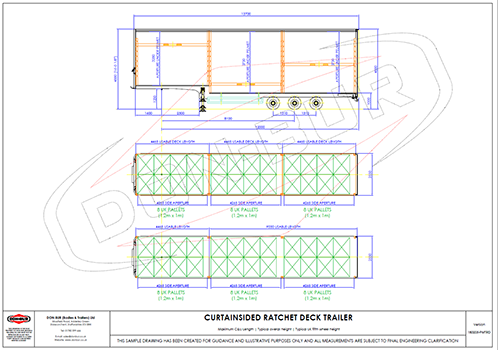 To reposition a deck, a forklift is positioned so the forks enter via two apertures. 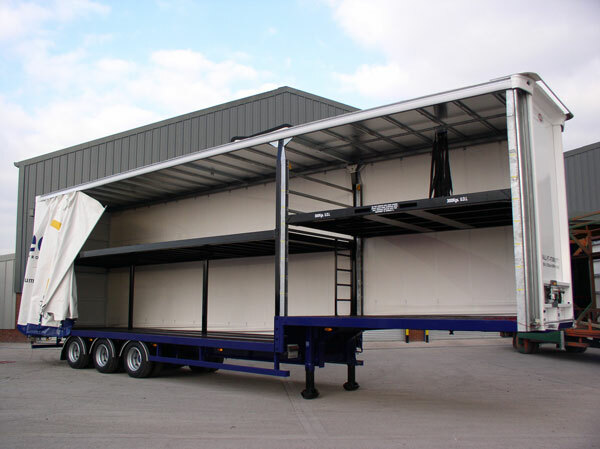 Lifting the decks upwards automatically unlocks it, allowing it to be raised to the desired incremental height. 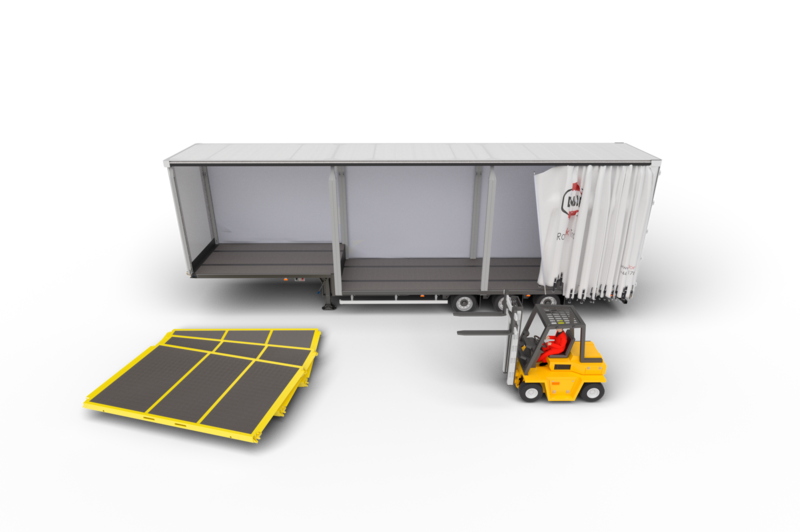 If the deck needs to be lowered, the operator takes it to the topmost increment where it automatically unlocks for lowering to the required position. When the forklift is removed, the ratchet mechanism automatically locks. 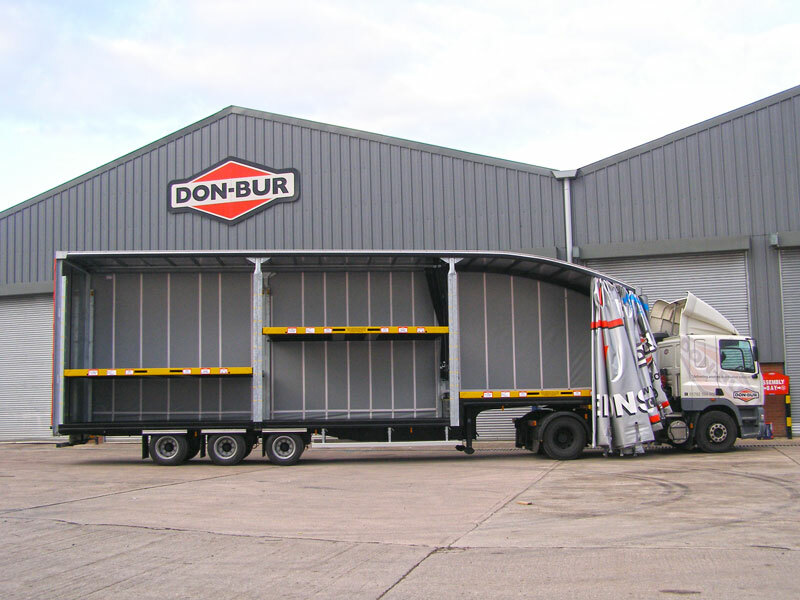 Decks can be removed completely in minutes, converting to a conventional single deck trailer if required. click and drag to pan. To preserve performance, this 3D content has been removed on mobile views. It is available on desktops. We apologise for any inconvenience. 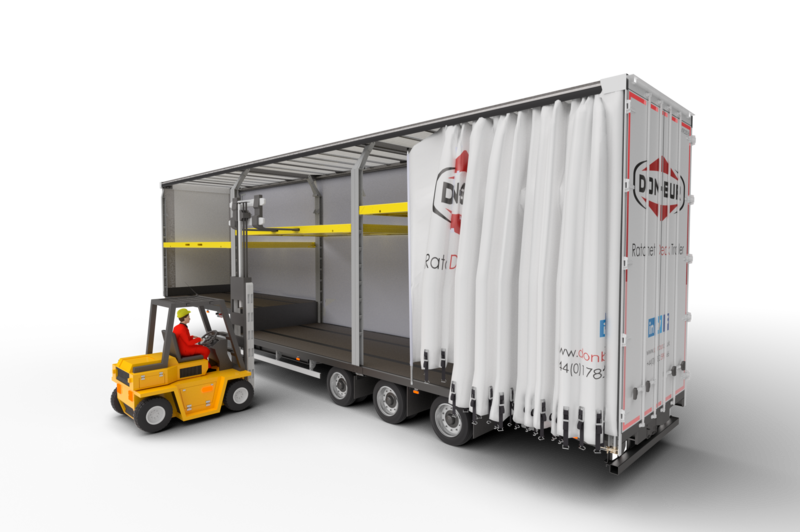 Available as a retro-fit, it is also suitable for rigid and de-mountable bodywork. What other features and options are there? Tell me more about load restraint What facilities are there for livery?